Home About Universe Astronomy Astronomy Picture of The Day Beginners Info Infographics Planets Search for life Solar System Space Exploration Technology The Perseid Meteor Peaks TONIGHT - Here is how you can see it! The Perseid Meteor Peaks TONIGHT - Here is how you can see it! It’s time to witness the annual remarkable Perseid meteor shower, one of the perkiest meteor showers of the year. 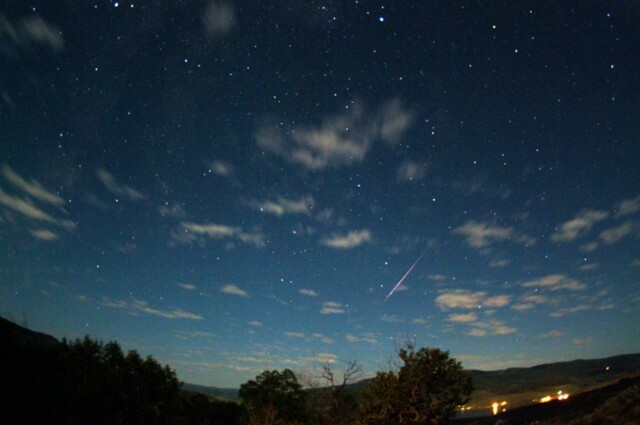 And even NASA says this as a must-see: "If you see one meteor shower this year, make it August's Perseids." The comet Swift-Tuttle voyages through our Solar System every 133 years, leaving a dust line in its way. When Earth comes in its way, the dust cloud fragments hit its atmosphere, producing the Perseid meteor shower, which occurs annually between July 17 and August 24. This year, the meteor shower will be most noticeable at its peak activity from Sunday (August 9) until August 14. If you’re looking for the finest window to see the meteor shower, you’ll want to be looking to the skies during the initial hours of the morning at the showers’ peak on Tuesday (August 11). The shower will be so perky against the night, you probably won’t even need binoculars or a telescope, and with no moonlight during its highest activity this will be one of the best year's to see it. EarthSky.org's Bruce McClure, said "Remember, your eyes can take as long as 20 minutes to truly adapt to the darkness of night. So don’t rush the process." To see the shower, look at the constellation of Perseus in a northeast direction. Not an astronomy enthusiast? Perseus makes a ‘Y’ shape in its stars. The meteors will seem to shoot outwards from that cluster. Happy meteor-watching from Physics-Astronomy!